Mr. Babatunde Dada is the Chief Finance Officer (CFO) of MainOne. He is a fellow of the Institute of Chartered Accountants of Nigeria and was until his appointment, the Group Chief Finance Officer of Hygeia Group. A 1995 Master’s Degree holder in Banking and Finance, Mr. Dada has multifaceted finance experience spanning close to three decades. 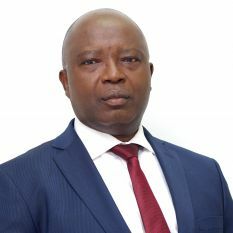 He started his career at KPMG, formerly Peat Marwick Ani Ogunde & Co as Audit Trainee and later joined Mobil Oil Nigeria PLC as Internal Auditor in June 1987, rising to the position of Associate Accountant, Treasury in April 1989. Mr. Dada joined MBC International Bank Ltd in August 1991 as Head of Internal Audit and worked in various functions within the bank, rising to the position of General Manager and Group Head, Corporate and Investment Banking, a position he held until December 2005 following MBC’s merger into First Bank. He was Head of Aviation and Telecoms Group with the Corporate and Investment Banking Directorate of First Bank until December 2006. Mr. Dada is an Associate of the Chartered Institute of Taxation of Nig. (CITN), and an Honorary Senior Member of the Chartered Institute of Bankers of Nigeria (CIBN).